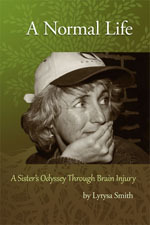 • Author A Normal Life: A Sister’s Odyssey Through Brain Injury, tells the story of my sister’s brain injury due to carbon monoxide poisoning and its impact on our relationship and my family. • Independent Writer (1993-present) Write articles, including features, profiles, investigative and in-depth news stories, also articles on health, science, social issues, the arts and travel. • Editor – Center for Health Workforce Studies (2006-present) Edit health workforce reports, proposals, surveys, journal and Web site articles and monthly newsletters for this research agency of the School of Public Health, University at Albany, State University of New York. • Writer – Healthy Monday (2008-09) Researched and wrote more than 200 health tips, to appear on this public health initiative Web site each Monday. Categories: smoking cessation and staying quit, diet and nutrition, family health, college campus health, workplace health, fitness and exercise, and general health and wellness. • Staff Writer – Albany Times Union (2001-05) Features reporter for daily 150,000 circulation newspaper and Web site, specializing in profiles and health, social issues, workplace, consumer and family topics. Clip file available. • Writer – Upper Hudson Valley Dermatology (2005-present) Create topics and write text for newsletters and Web site featuring articles about various health and skin care topics. • Technical Writer – IBM and AnswerThink (2000) Researched and wrote text for an interactive educational program accessed online through a series of intranet Web sites. • Writer/Editor – Taconic Hills School District (1994-2000) Wrote and edited bimonthly newsletters, special initiative brochures and press releases coordinating within four schools with administration, staff and students. • ABC-ASAHI and Ruenitz Associates (1992-2000 ) Wrote scripts for educational Japanese network television series with more than 90 programs completed. Co-supervised in-studio filming and operations. Acted as liaison with on-air talent. Arranged for and coordinated program consultants and special guests. • PBS and International Cinema, Inc. “Carmen Miranda: Bananas Is My Business” (1994-96) Researched, wrote, organized and negotiated licensing contracts and cleared rights for all music and archival footage for 90-minute PBS documentary. Specialized in researching, locating and acquiring rare footage and music. • A&E Network and David Royle Productions “Target Mafia: “The Prohibition Years” (1993) Documentary examining the beginning of organized crime in the America. • WQED Pittsburgh Public Television “One Plus One” (1989) A documentary about mentors working with high-risk students. • ABC News and New Atlantic Productions “The Eagle and The Bear” – “Berlin: 1961” and “Grenada: 1983” (1988) Documentaries about US and former-USSR relations. • PBS and New Atlantic Productions “Senator Sam” (1987-88) Documentary about Senator Sam Ervin of North Carolina who lead the Watergate hearings. – Studied Southern Africa History, Politics and Government, and Shona, the predominant African language of Zimbabwe. 2004 Northeast Health President’s Award, for demonstrating leadership in the area of heath care and community services. Awarded for my contributions of writing on health topics. 2002 Times Union Editors’ Award for Features, “Miracle of Life,” an article about HIV-positive parents’ groundbreaking efforts to have a family. 2001 New York Press Association Award for In-Depth Reporting, First Place, for “Last Call,” Times Union, a group project about underage alcohol use. 1999 New York Press Association Award for In-Depth Reporting, Second Place, for a series about people living with HIV/AIDS in rural areas. 1996 NYSPRA Third Place Award of Merit, Taconic Hills School District newsletter.